Twisted Fates is a stylish take on the contemporary slouchy hat. 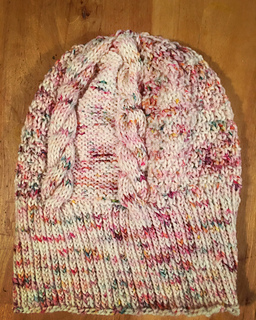 The hat includes several interesting features including a seed stitch texture, mirrored cables and twisted rib brim. It’s the perfect unisex hat. 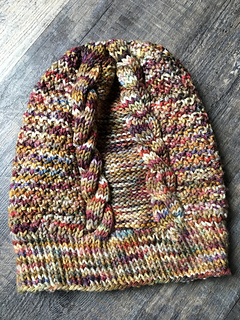 Pattern also provides two brim options. Keep the brim long for a super slouchy look, and wear as is, or fold it in half to add some thickness, or fold one side up to give the hat an edgy look. 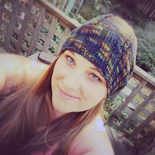 Of if you prefer a smaller brim, simply knit the shorter version. Errata: Updated version of the pattern has been uploaded as of 11/1/2018 where typos were corrected on rows 6, 7, and 9 of the decrease section.